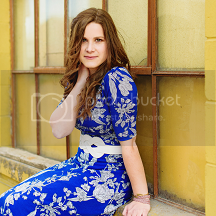 Hannah Elise: some things I've learned : photographing seniors! some things I've learned : photographing seniors! I know that many of you who read my blog are also photographers, and some of you are just starting a business, which is awesome!! Given that it is fall and the time of year for senior photos, I wanted to share some tips with these, which are some tidbits from the content at my workshop! but I have learned some different things that have helped me over the past few years when it comes to doing them. for guys : make them look legit. for girls : make them look gorgeous. I'm going to share some general tips for both guys/girls, and then specifically for each gender with photo examples. Adjust things when you're shooting. Don't be afraid to be upfront about stuff. I usually tell girls right away "I'm going to touch your hair a lot!" because I do. If the wind has blown some hairs across her forehead, I stop and move it back -- saves me editing time later. If their shirt is bunching up from the position they are in, stop and have them pull it straight. Notice things that will detract from the photo - hair tie on a wrist (remove it), phone in pocket, tree coming out of their head in the background (have them scoot over slightly), etc. You're creating art while you shoot and the process should reflect that. Study them. Be observant to their personality/interests, and your posing should be related to that. [i.e. if someone is more quiet I'm not going to stick them in the middle of the highway and have them do some band cover pose! :) ] Watch for things they naturally do. For example - sometimes when I am setting someone up they will naturally flick their hair and I'll say "do that again with your hair!" or "I like how you were just looking off to the side, do that again!" The more I can incorporate things they typically do, the more their images will look like them, which is the goal!! Keep in mind the 'standard' shots you need to get. With every senior session I know I need to at least get a solid portrait headshot (most seniors need this for their school yearbook), a full-length shot, and a couple different landscape head shots that will work well for wallets (since every senior is going to print these). For me personally what I mean by "landscape wallet headshots" are photos like these below, where their head is close-up, and on the left or right side of the frame. I just like how this looks and prints well for wallet photos. Use pinterest. Have inspiration boards you can get ideas from, and recreate poses with your own twist on them. This is especially helpful if the senior wants to use a specific object like a flute, violin, golf clubs, etc, and you're not sure how to pose them with the item. Some specific boards I have that I can look through before sessions are these : here, here, here. Location. Don't freak out about having some 'amazingly perfect' location(s)! Having killer backdrops is great, but honestly you could shoot a senior session in a backyard with just grass and a few trees if you had too. Since you are just focusing on one person, and if you shoot with lower apertures like I do (I typically stay between 2.0 - 2.8 for seniors) then the background is going to probably end up being blurred, or mostly out of focus. Instead think more about the lighting, posing, and how you are making the client look. This senior session was literally shot all within a block of my house, only using a couple different neighbor yards, a few barns, and a building! I also have all my clients text me photos of their outfits beforehand, as it helps me visually plan things out and pick locations that will compliment what they are wearing. Sometimes guy seniors can be more challenging in that there aren't a bazillion 'manly' poses you can put them in, but here are a few different things I do (and every so often throw in something new!). Sit and lean forward, hands together. Another sitting one, but this one I had his hands under his chin, head to the side. (also having the ribbed tin in the background and his hoodie/lid help 'make' this image) If you have brothers (like I do!) think about how they naturally stand and lean against things. For this one notice his stance with his feet, arm leaning on the cement tube, other hand in back pocket. For this shot I had him lean against the tin wall with one foot up, one hand against his jeans, the other in his pocket. Also notice how his head is leaning away from the wall, not against it. Crouching always works great for guys, and if there is a smoking pit in the background that's pretty cool, right?! ha! Girl seniors are super fun because you can be a bit more creative and 'girly' when shooting.. like incorporating fields of flowers, vintage props, etc! For girls, I often am having them turn their head towards their shoulder (see below) instead of their head straight on towards me. I also LOVE doing the head towards the shoulder, eyes looking down. I focus on their eyelashes and adore how feminine and flattering this always is. Use hands!! For girls especially this will add so much visual interest to a photo. Have them rest them against their head, under their chin, in their hair..etc, etc. for this one I could have shot it with her hand down, and it would still have looked cool with the wind blowing her hair, but it just adds something to have it on her shoulder. Same thing here where I could have just done a serious head shot, but having her arm makes the image more interesting. for this shot (below) I had her one hand in her hair, and the other one holding that arm. LOVE the angles and lighting in this. And this was literally shot right off the road! Where I live all along the rural highways there are tall grasses and flowers, and so we parked on the gravel shoulder of one, and tromped through tall grasses up to this little hill. The golden hour was gorgeous by this point, and the grasses weren't as tall up here but instead softer and lush with some purple flowers. So again, you can use a very 'simple' location, and the lighting/posing will make your image! I hope these tips were helpful -- if so, please comment below!! Also if YOU have any tips yourself to share when it comes to photographing seniors, I would love to hear them! I sent you an email today asking you a question. Did you get my email? If I complete these, then it was a good session. :)"
Awesome! Thanks so much for the tips! I'm shooting my sister's senior pics soon, so this is perfect! FABulous post!!! you are such an awesome photographer...and I LOVE these tips.